App development and design agency Dreamr has been appointed by two universities. The Manchester agency, founded in 2014 by Mylo Kaye and Jack Mason, has been handed briefs by Manchester University and Imperial College London. 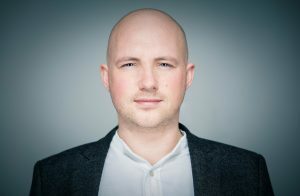 Mylo Kaye, CEO and co-founder of Dreamr, said: "Working with these two universities is a tremendous achievement for Dreamr. I was once a student in Manchester, and we're now working with two of the country's great universities." The Manchester University project will be launched later this year in time for its careers fair. Imperial Innovations, which is part of Imperial College London, has worked closely with former students to develop an app that is focused on expectant mothers. The project due to launch later this year.